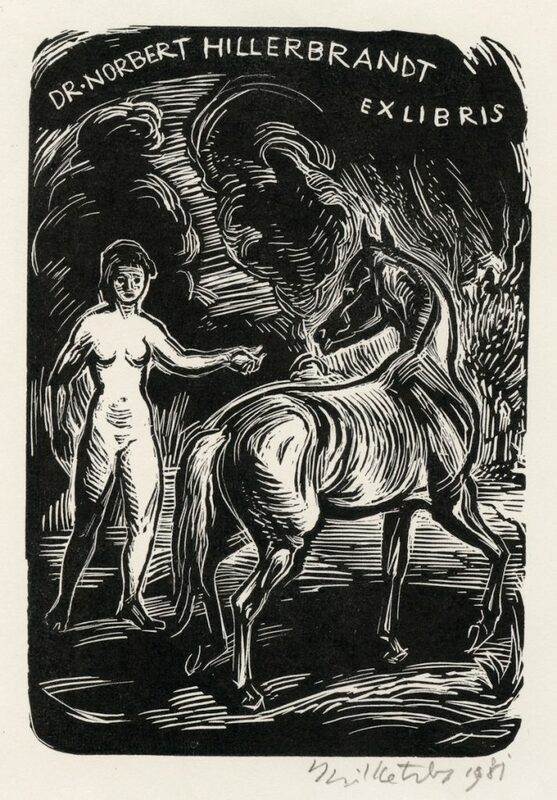 Emil Kotrba (Czech, 1912–1983) was a graphic artist especially known for his vivid depictions of animals. (He was no less skilled when portraying human subjects.) Kotrba studied animal anatomy and husbandry at a veterinary university even while he was enrolled in art school. 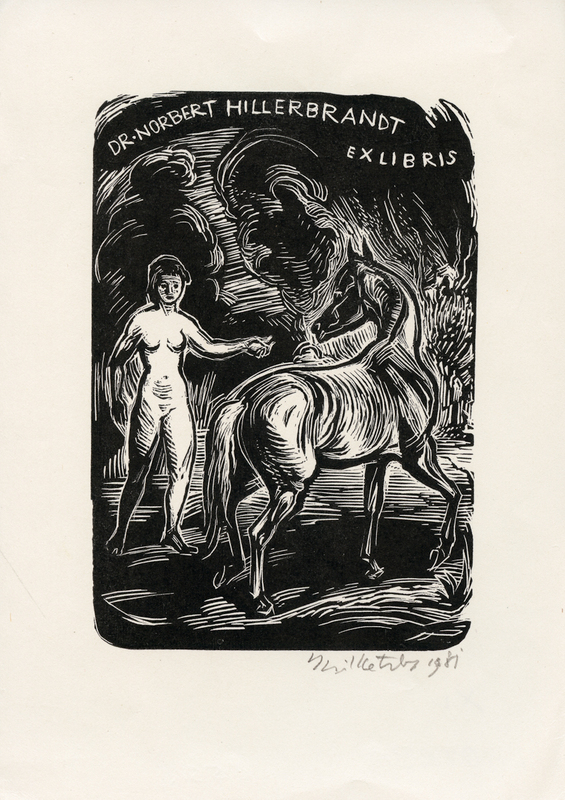 His graphic media included wood engraving, etching and lithography, and most of his approximately 900 graphic works were in the form of ex-libris.